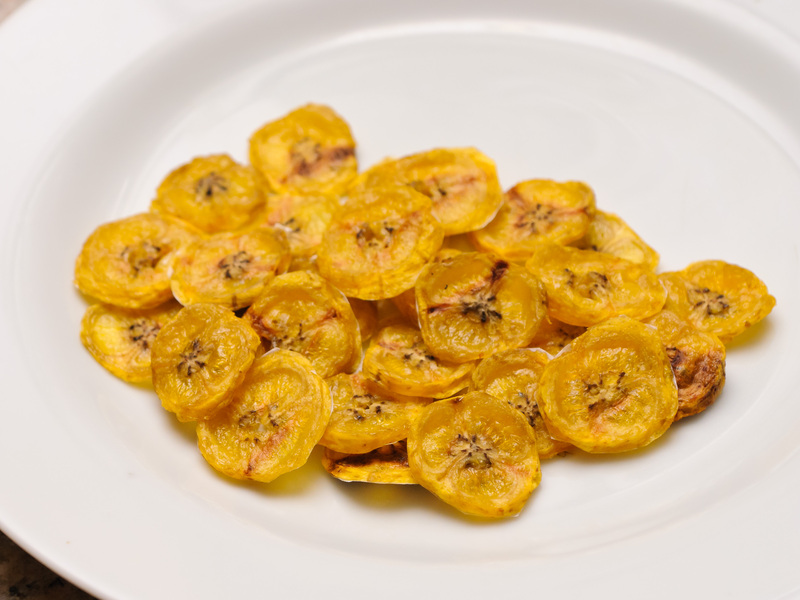 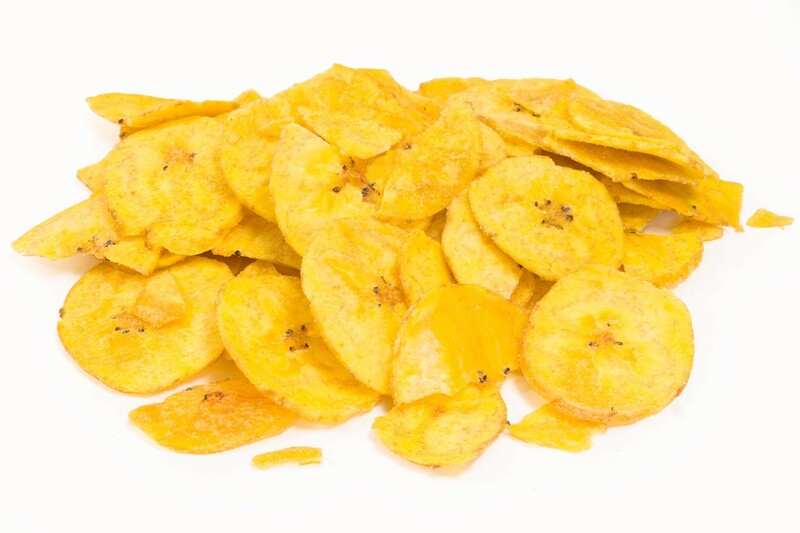 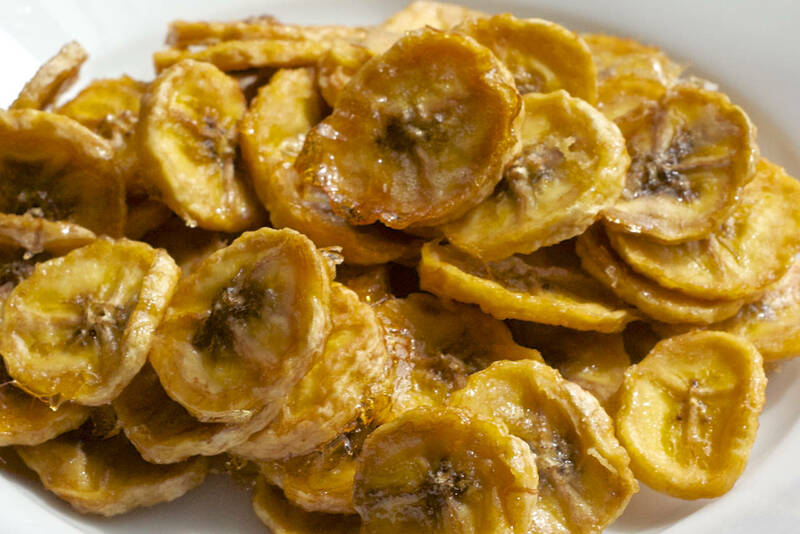 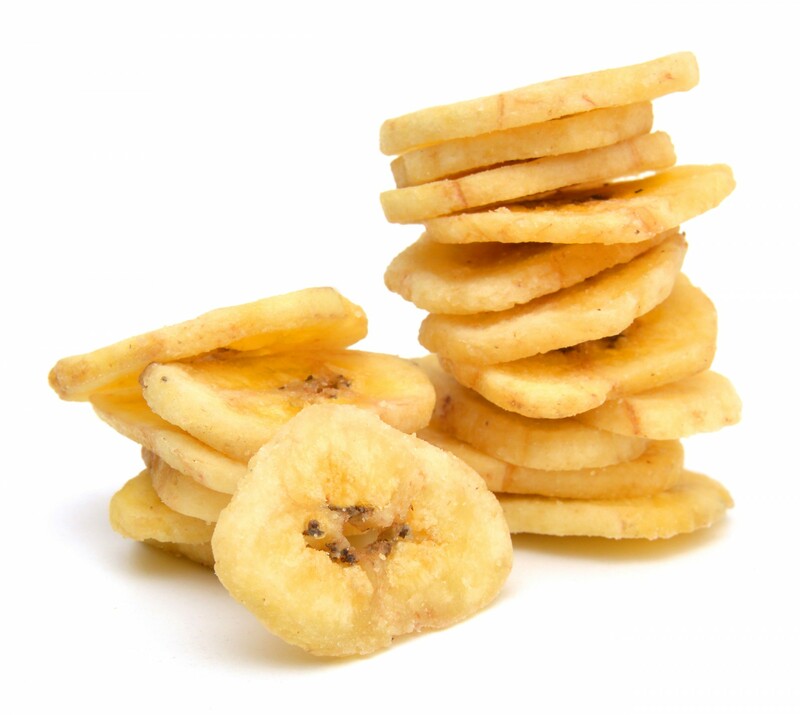 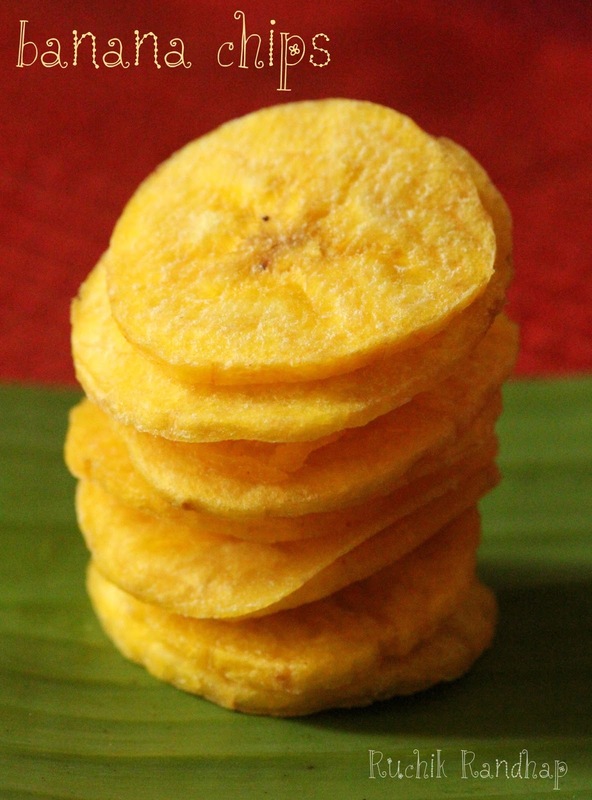 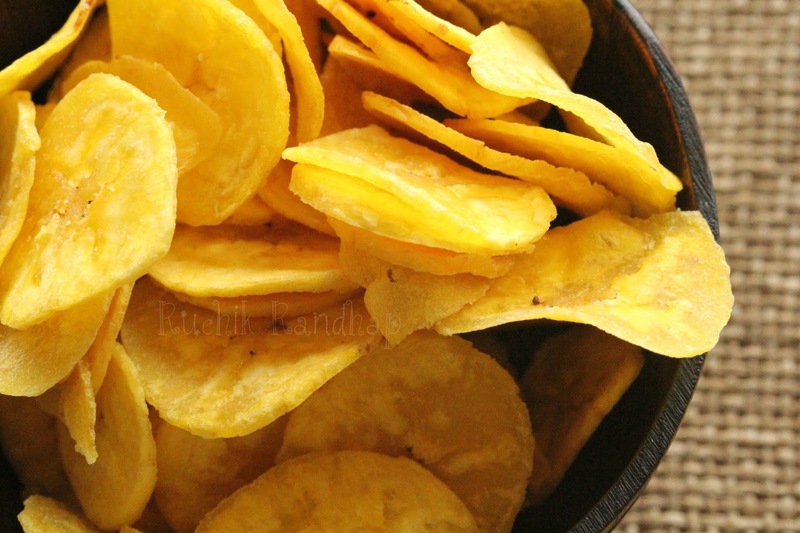 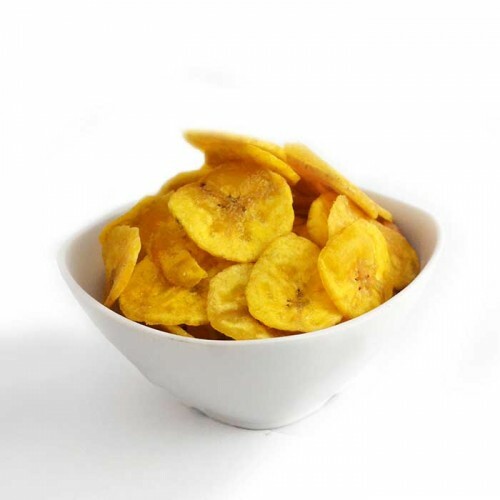 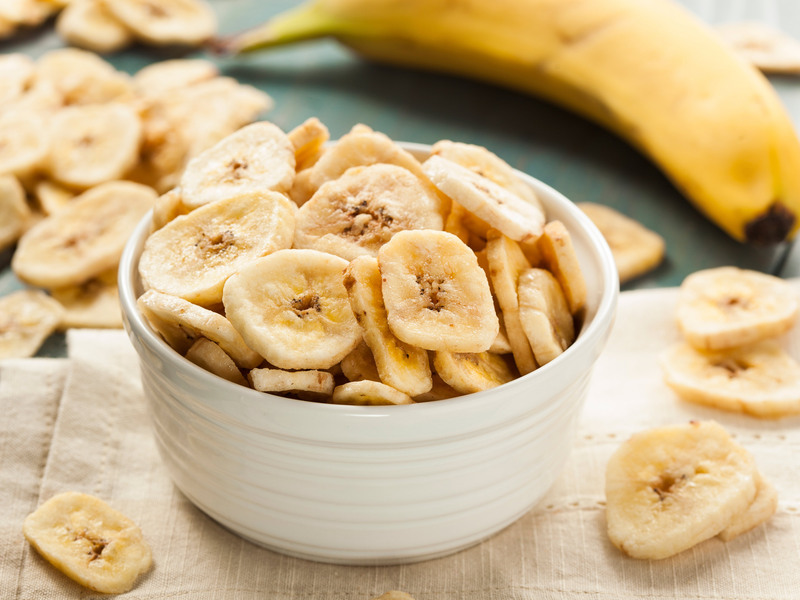 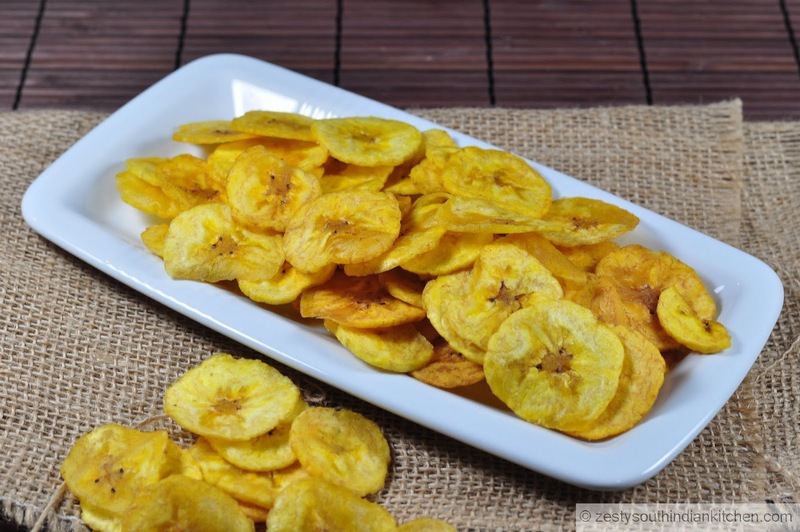 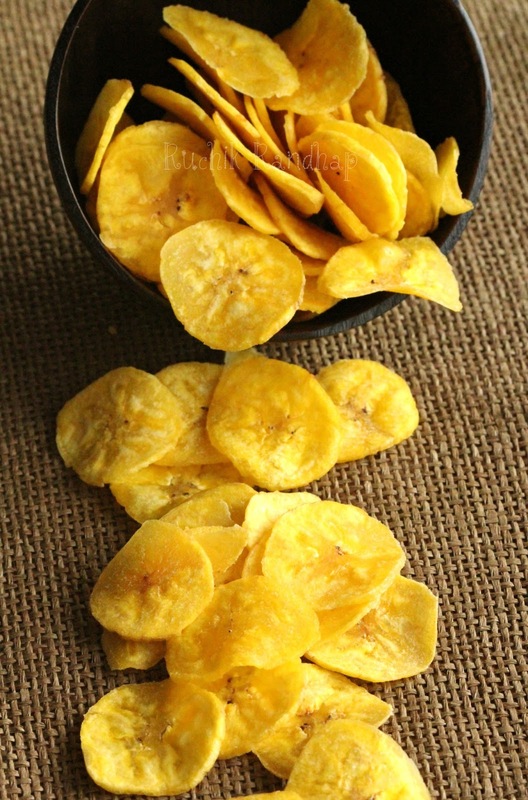 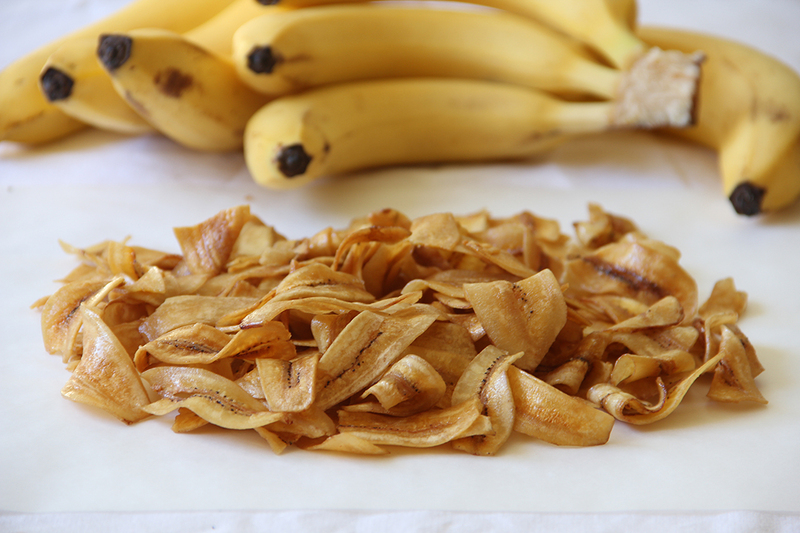 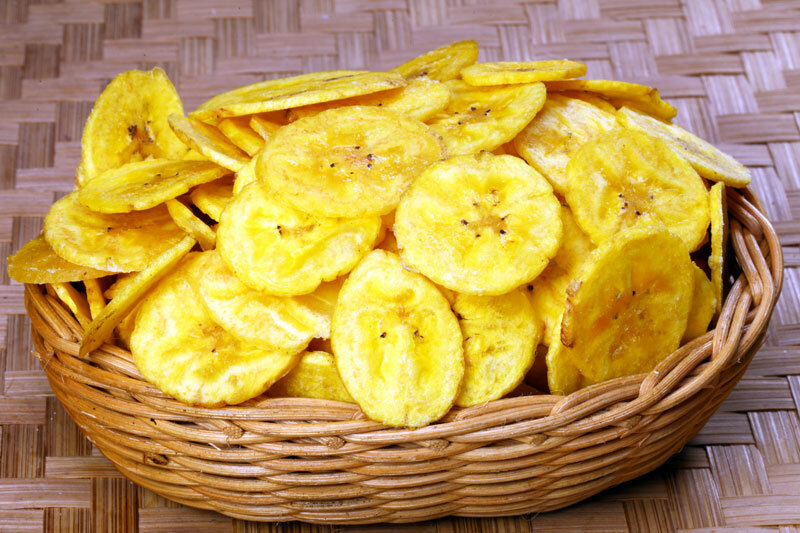 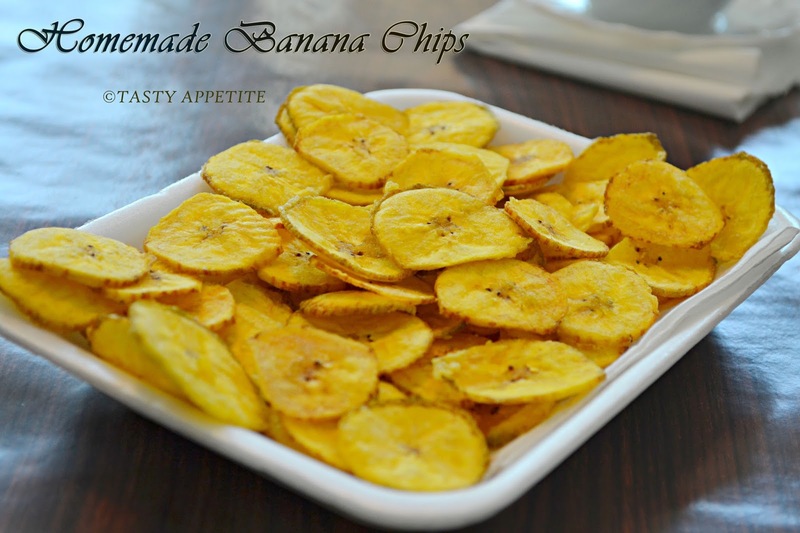 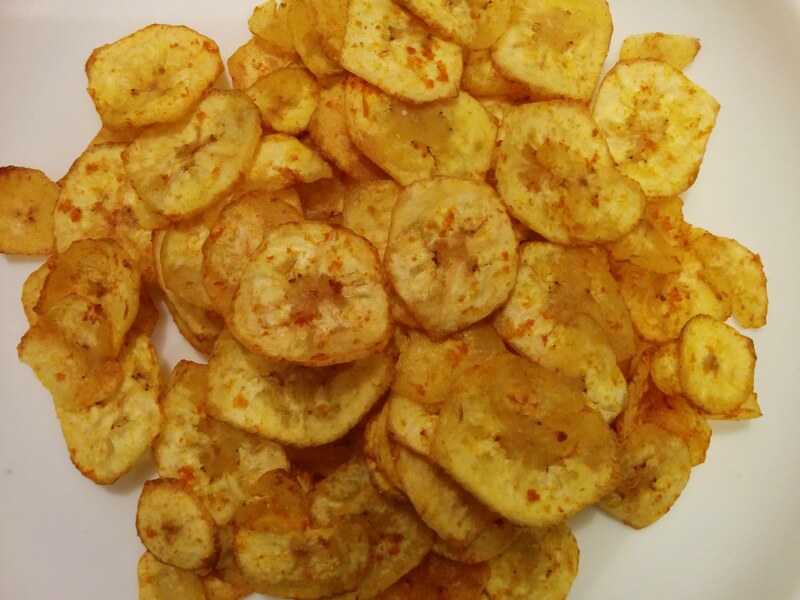 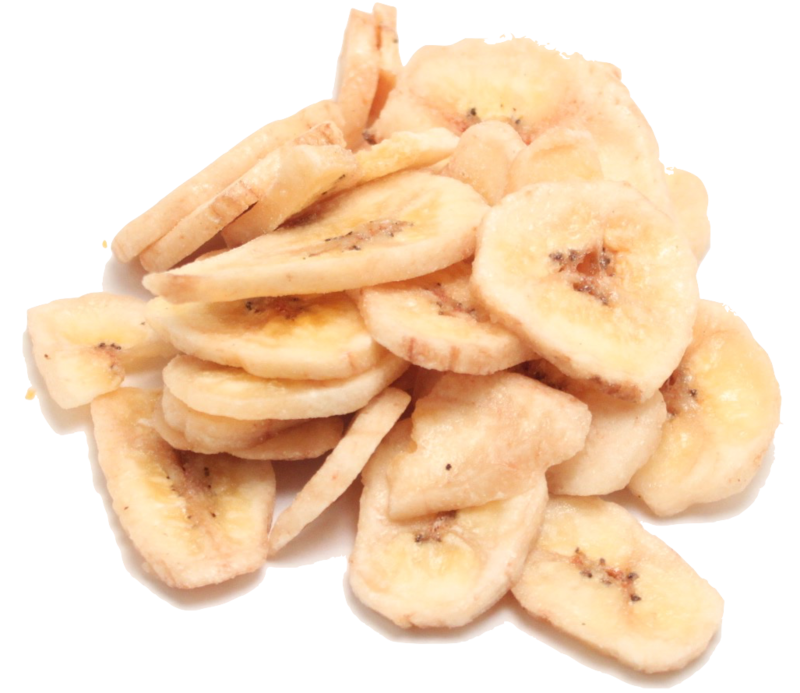 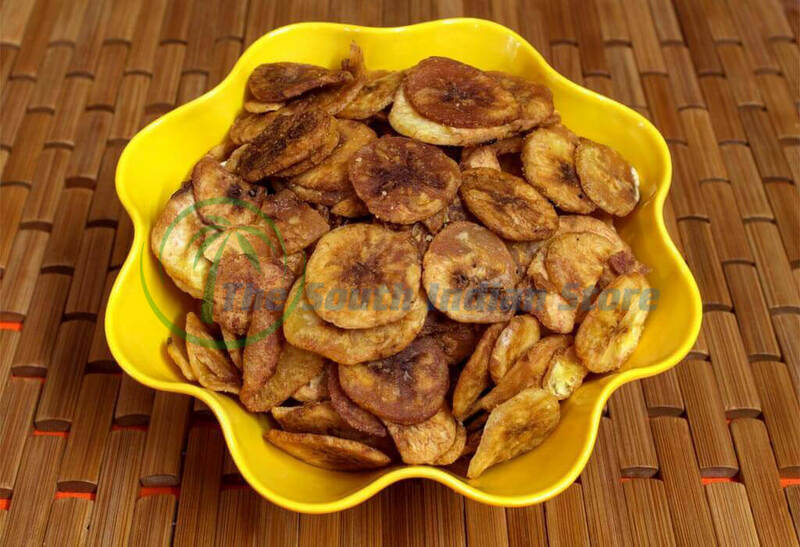 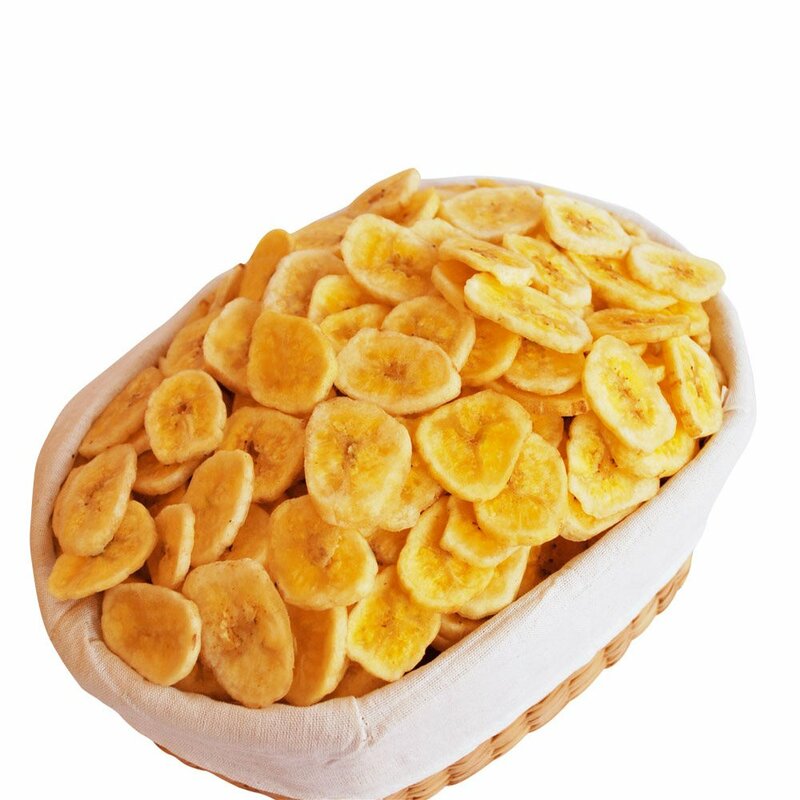 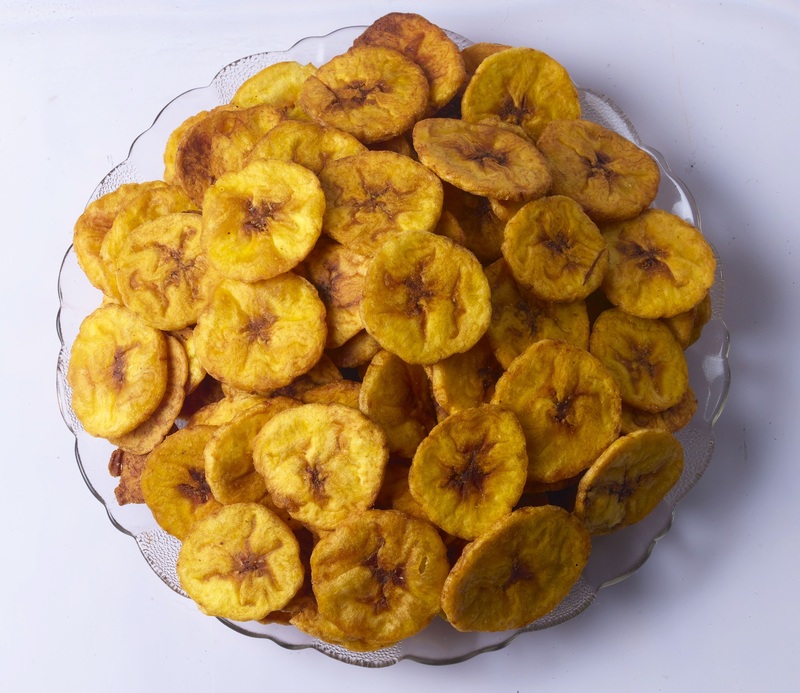 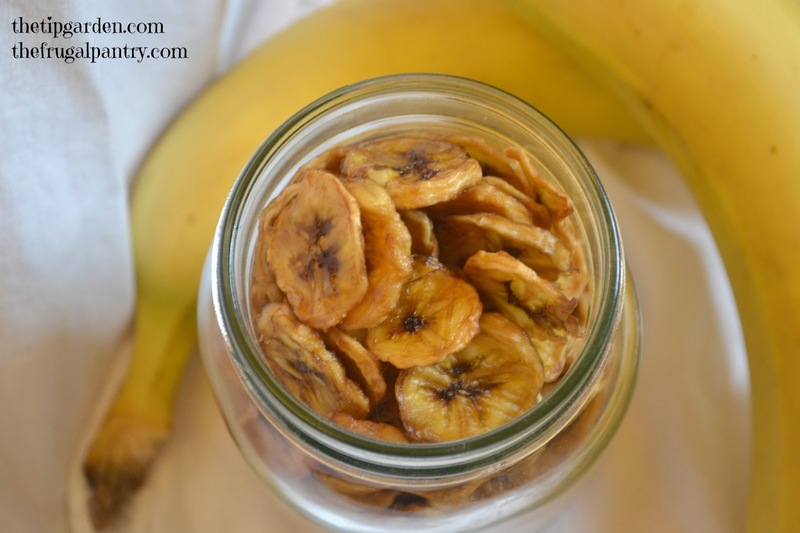 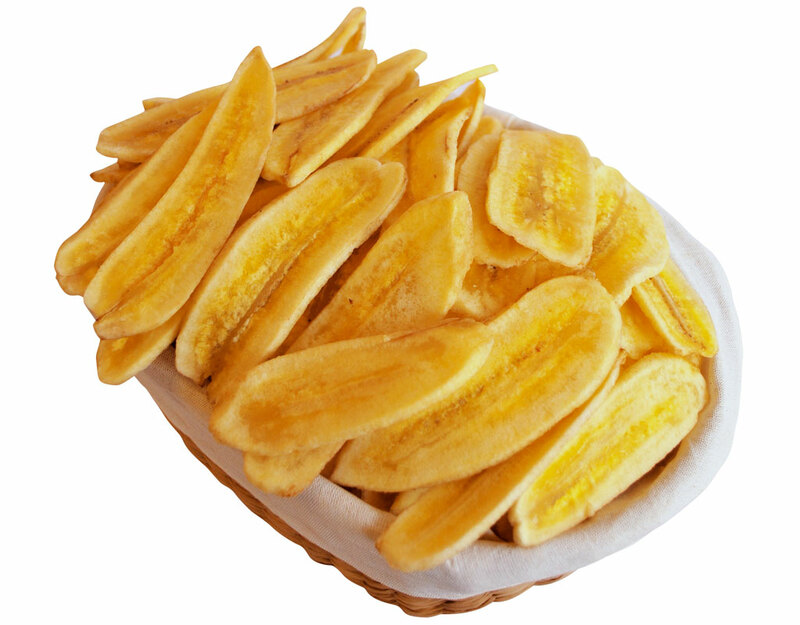 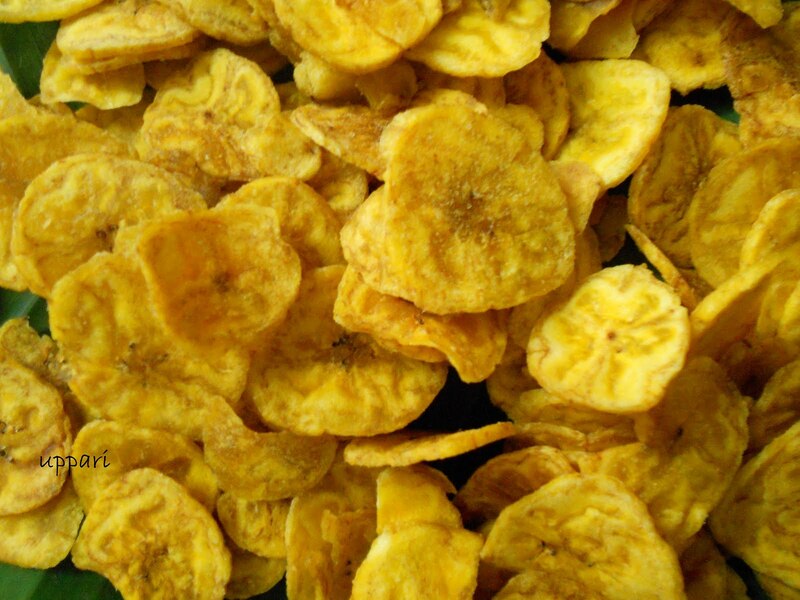 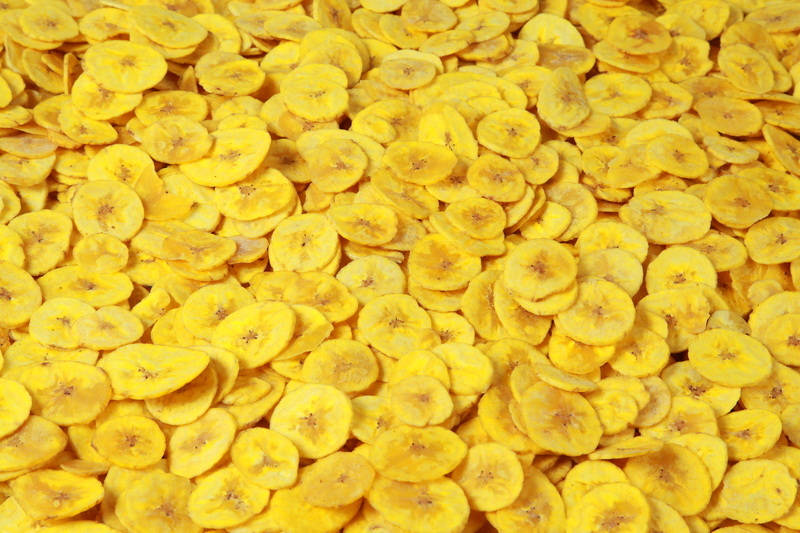 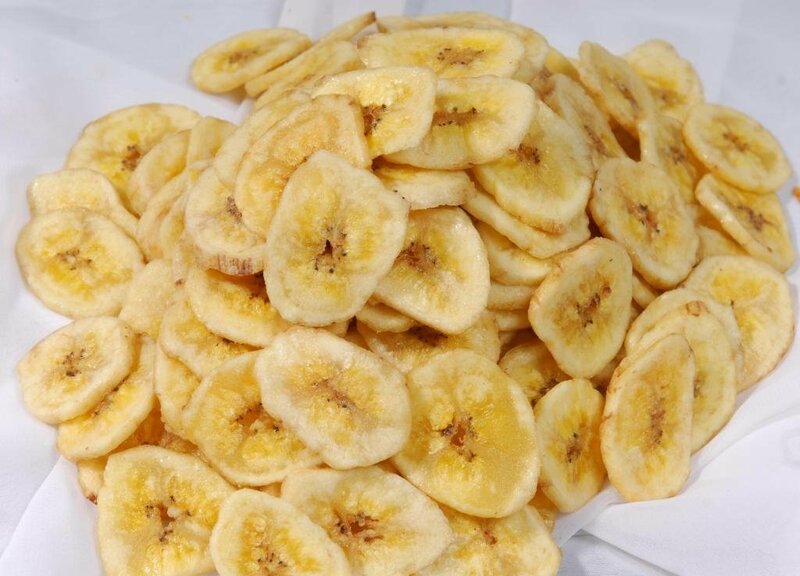 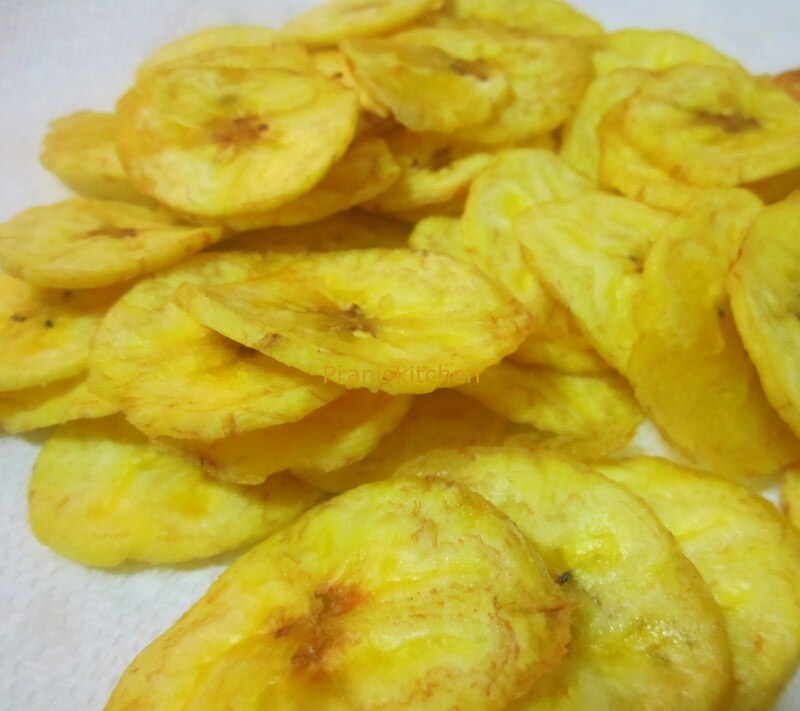 Some varieties of banana chips can be produced using only food dehydration. 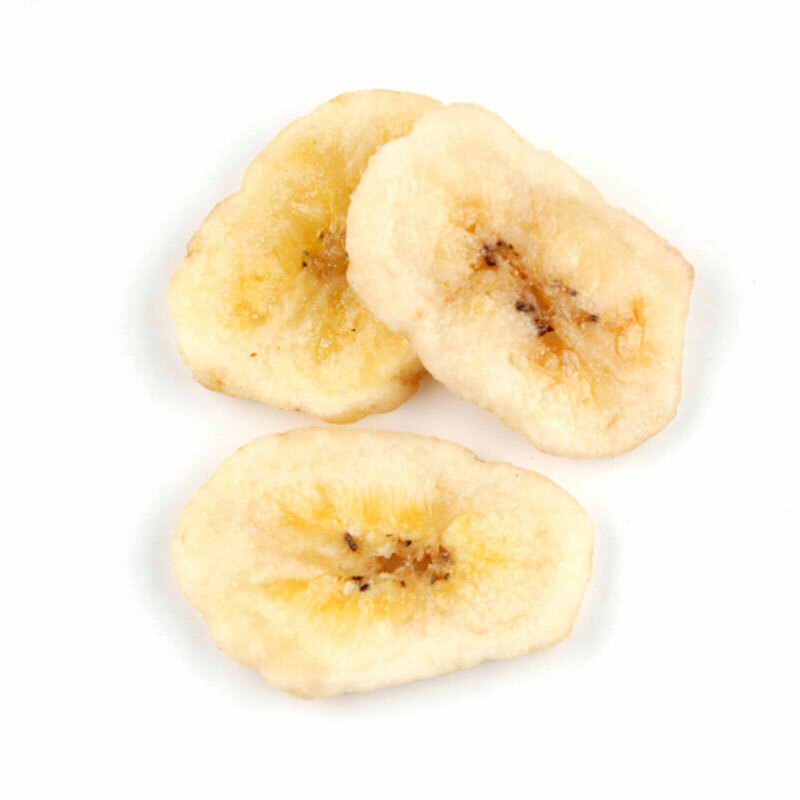 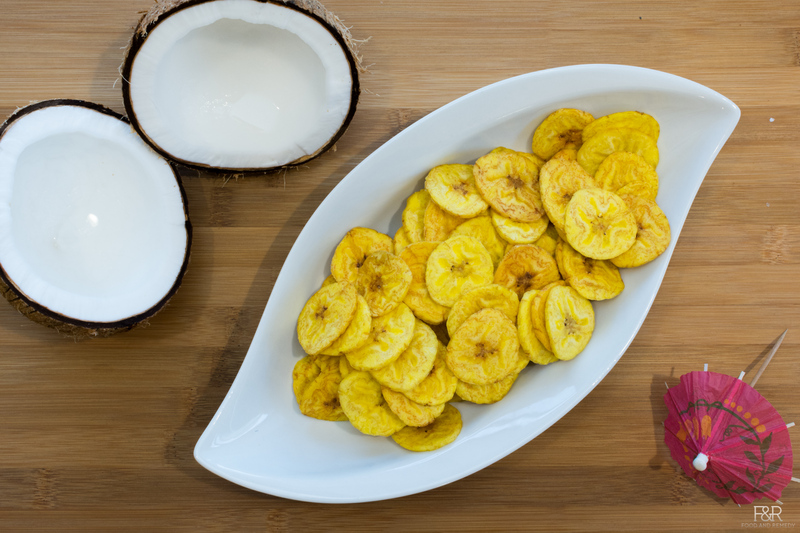 Banana slices that are only dehydrated are not dark yellow and crunchy, but rather are brown, leathery and chewy. 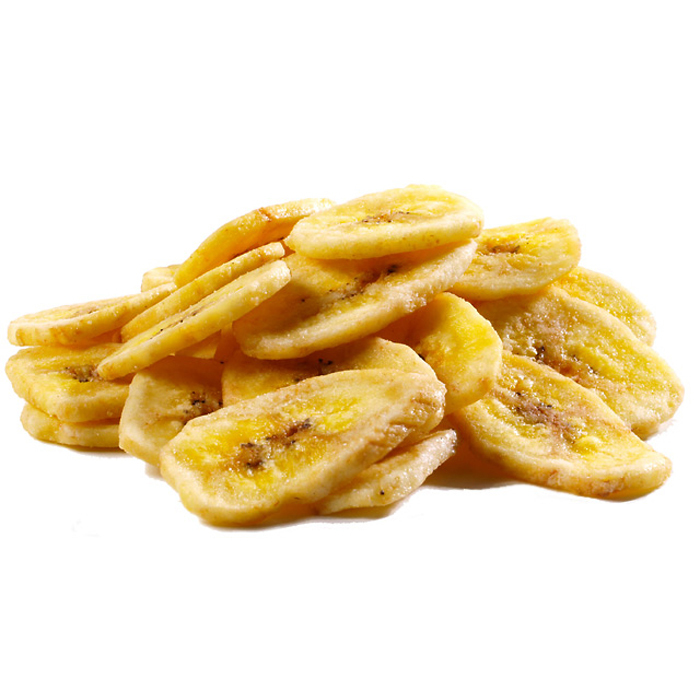 They are very sweet and have an intense banana flavor. 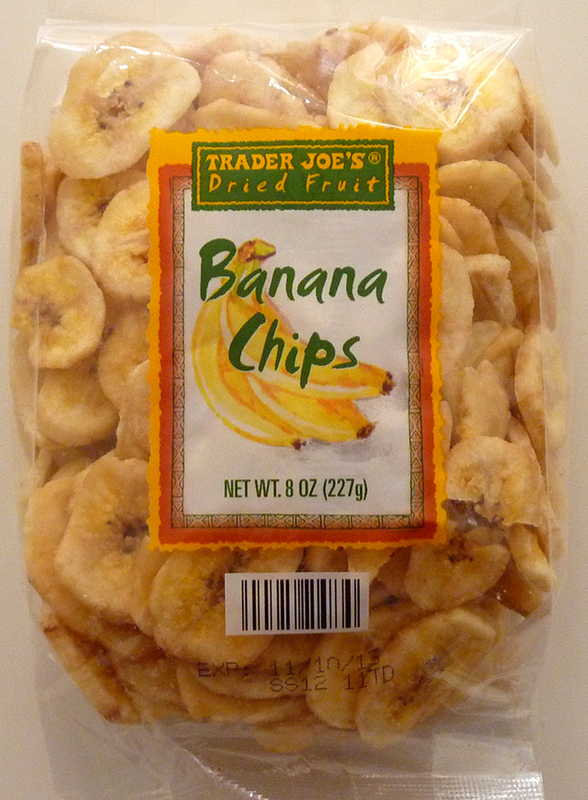 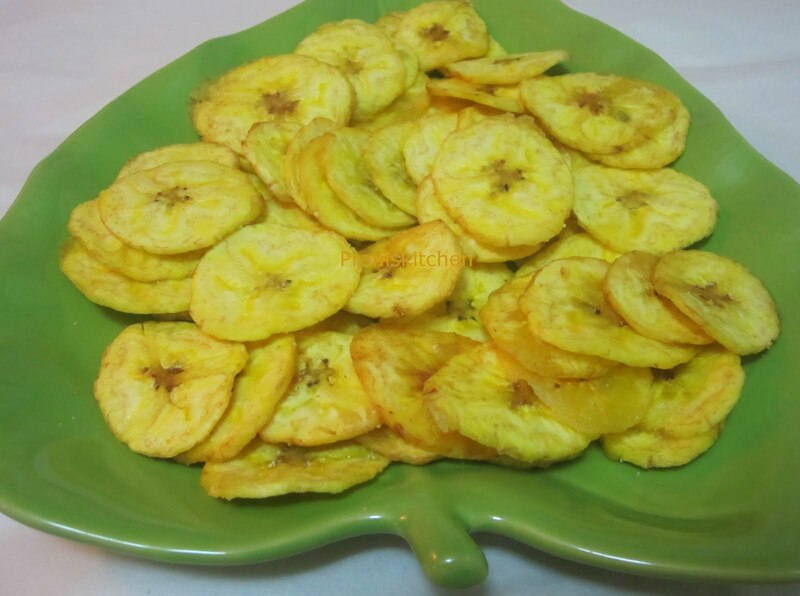 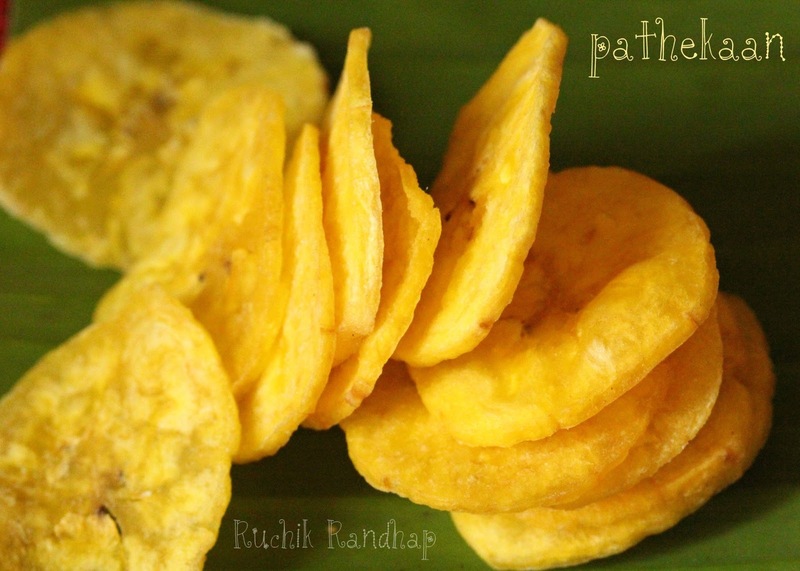 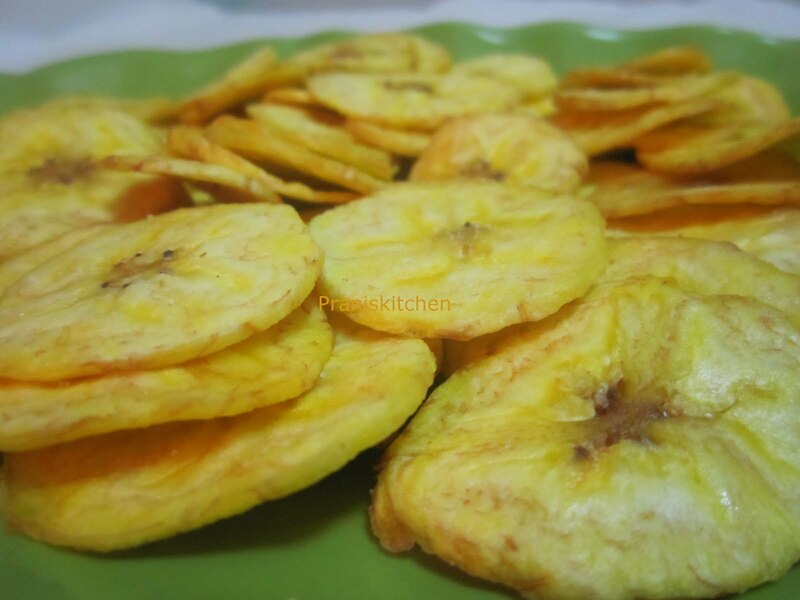 These are ideally made from bananas that are fully ripe. 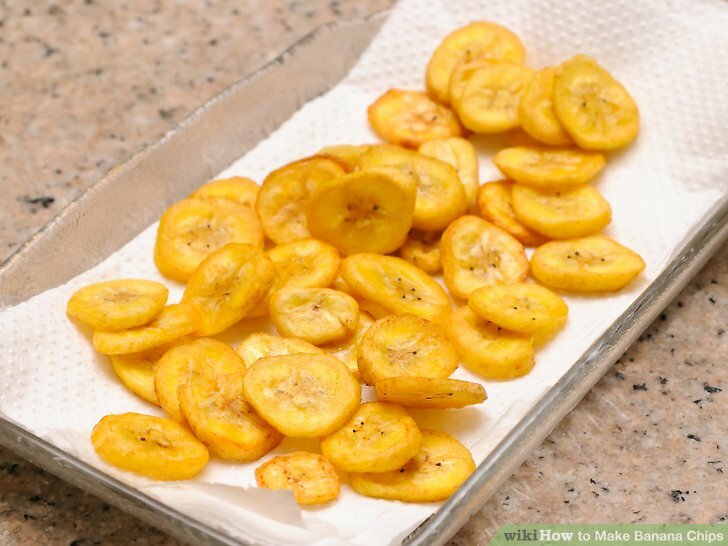 Another kind is made by baking in an oven, although this process may not result in the same intense banana flavor.